Types of Aluminum Heat Treatments - L&L Special Furnace Co, Inc. The main purpose of aluminum heat treatments is to increase the strength and hardness of a specific subset of aluminum alloys, namely the wrought and cast alloys that are precipitation hardenable. Precipitation hardenable aluminum alloys include the 2XXX, 6XXX, 7XXX and 8XXX series. In addition, annealing may be required for parts that have experienced strain hardening during their forming process. The typical aluminum heat treatments are annealing, homogenizing, solution heat treatment, natural aging, and artificial aging (also known as precipitation hardening). It is important to keep in mind that the heat treating of aluminum is quite different from steel. Aluminum alloys are subject to work hardening, also known as strain hardening. Strain hardening occurs when the aluminum alloy is being shaped by plastic deformation. The plastic deformation causes the grain structures within the aluminum to slide against each other along areas referred to as slip planes. As more and more plastic deformation takes place, there are fewer and fewer slip planes left that are easy to deform. As a result, more force is required to achieve further deformation. When a part has reached this state, it is said to be work hardened. In order to continue plastically deforming the material, the strain hardening has to be removed from the part. The purpose of annealing is to essentially reset the crystalline grain structure, restoring slip planes and making it possible to continue shaping the part without requiring excess force. To anneal a work hardened aluminum alloy, the metal must be heated to somewhere between 570°F to 770°F for a set amount of time, ranging from just thirty minutes to a full three hours. The time and temperature are depending on two things: the size of the part that is being annealed and the composition of its alloy. Annealing also relieves internal stresses that can develop in a part during processes such as cold forging or casting, stabilize the dimensions of a part, and resolve issues that result from internal strains (such as warping). 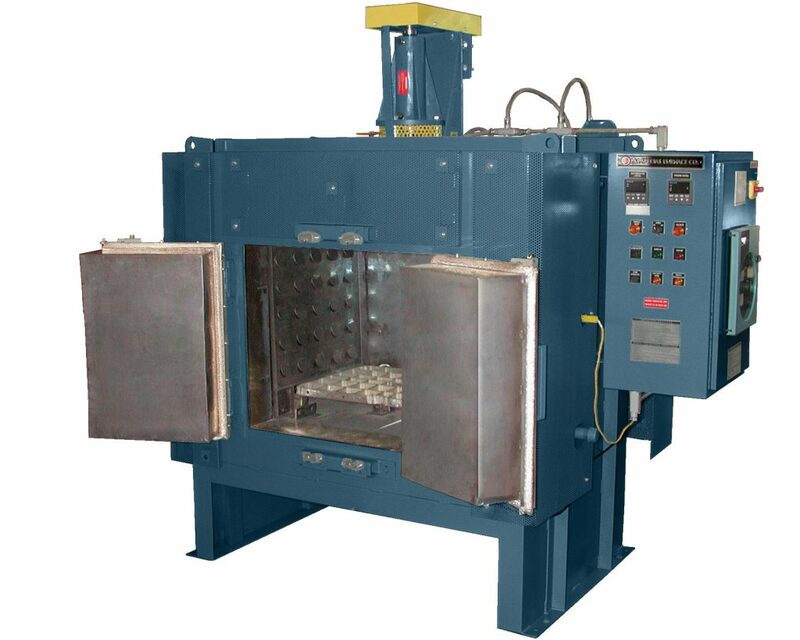 Also, annealing can be successfully performed on aluminum alloys that are considered non heat treatable alloys. It is commonly used on aluminum parts that are forged, extruded, or cast. Homogenizing is used to redistribute the precipitating elements more evenly throughout an aluminum part. This is typically necessary when working with cast aluminum alloy parts. When the part begins to cool, the outside edge that is in direct contact with the mold will cool first. This results in a skin of aluminum grains, or crystals. As the part continues to cool inward, the result is fairly pure aluminum near the skin and some regions near the center. The alloying elements precipitate out, resulting in the aluminum grains being locked into place. The cast part ends up with some regions being soft and others being strong. This segregation between regions can be reduced and the resulting part rendered more workable for forming by going through the homogenizing process. An aluminum part is homogenized by raising its temperature to just under its melting point, which is usually between 900°F to 1000°F. After the entire part has reached this homogenizing temperature, it is allowed to slowly cool. The result is a cast part with a uniform internal structure. While the cooling rate is not a factor in annealing, it is a factor in another similar aluminum heat treatment process called solution heat treatment. During the solution heat treatment process, the elements that are responsible for age hardening (which makes the metal part difficult to work with over time) are dissolved. Those dissolved elements then become spheroids, and the result is a homogenized structure. However, the part must be quenched, or rapidly cooled, to preserve that final distribution of dissolved elements in the alloy that was achieved as a result of heat treatment. The part is then much easier to work with. Over time, though, those trapped elements will precipitate out again and cause age hardening. The exact temperature for solution heat treatment depends on the alloy composition of the aluminum, but it typically occurs somewhere in the range of 825°F to 980°F — but the temperature used must be within ±10°F of the target temperature. If this temperature is not achieved, the solution heat treatment will not be successful. If the temperature is too low, strength will be lost; if the temperature is too high, then the part could end up discolored, critical elements could melt, or there may be increased strain within the part. Once the part has reached that narrow window for the target temperature, it needs to soak. This soaking time can be anywhere from 10 minutes for a thin part to 12 hours for larger, thicker parts. However, heat treatment specialists do have a general rule of thumb: one hour for every inch of cross-section in the thickness. Next comes the quenching step. The objective of quenching here is to “freeze” the trapped elements in place, or to cool the aluminum part rapidly enough that the alloying elements do not have a chance to precipitate out as the part cools. Water is the most commonly used quenchant, and typically the most effective quenchant for aluminum alloys. Any forming that needs to be done to a solution heat treated part should be done very soon after quenching is complete. Otherwise, natural aging will begin and the part will become more difficult to work with. This is the reverse of what happens with heat treated steels, which are extremely brittle and hard after quenching. After aluminum has been solution heat treated, the elements that dissolved will begin to precipitate out over time. This causes the grains to lock into position, which in turn increases the natural strength of the aluminum and is called aging. The natural aging, or age hardening, process takes place at room temperature over a time period of four to five days, with 90% of the hardening occurring within the first day. Because of this effect, aluminum parts often need to be shaped rather quickly after going through a solution heat treatment process. For some aluminum alloys to be able to reach maximum hardness, they need to have the dissolved elements fully precipitated out. Not all aluminum alloys can reach sufficient hardness during natural aging at room temperature. Some can only harden to a certain point, but that can be resolved through precipitation hardening, which is sometimes called artificial aging. In precipitation hardening, the aluminum is heated to an alloy specific temperature between 240°F and 460°F, within ±5°F of the target temperature. It will then soak for a period of between six to twenty-four hours, followed by cooling to room temperature. The result includes a significant increase in the yield strength of the aluminum, slightly less of an increase in tensile strength, and a decrease in ductility. As discussed earlier, the goal of quenching is to preserve the dissolved elements in the form that is reached at the end of the actual heating process. If quenching is required as part of aluminum heat treatments, then it is critical to quench the part as soon as it comes out of the heat treatment furnace. A delay of more than 15 seconds can be very detrimental. Having a quenchant tank as close as safely possible to the heat treatment furnace is wise. Keep in mind that one of the drawbacks with a fast quench is part distortion (such as warping or twisting) and the development of residual stresses, which makes hot water quenching another common choice. Almost all of the aluminum heat treatments mentioned above require extremely precise control over temperature in order to achieve the desired effects. This involves the use of high-quality furnaces and ovens that can achieve a uniform temperature distribution, extremely accurate control instruments, and skilled technicians that know how to use the equipment properly. Not only must the correct temperatures be reached, but the temperature-time cycles for the heat treatment process must possess uniformity and continuity. 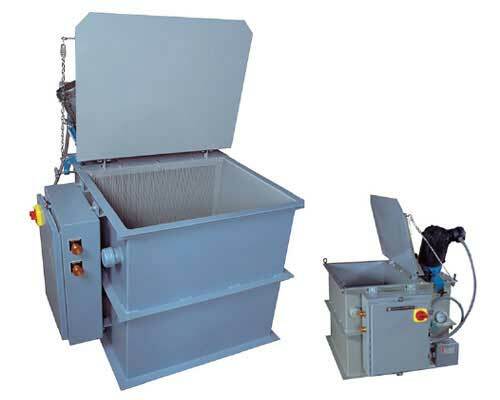 In addition, the furnace must be designed so that the part being treated achieves a uniform temperature throughout. When making aluminum parts for aerospace and automotive applications, the global pyrometry specification ASM2750E (Aerospace Material Specifications) is used. This specification was issued by SAE International and used by Nadcap in certification and auditing of heat treating equipment used in aviation and automotive manufacturing and production. It includes factors such as placement and type of thermocouples used to determine furnace temperature, calibration, and testing system accuracy. An ideal solution for achieving compliance with ASM2705E is the addition of a pyrometry package to support the auditing and testing required. Here is model DRQ246 under factory test, verifying manual load manipulation and timing from solution heating to quench. 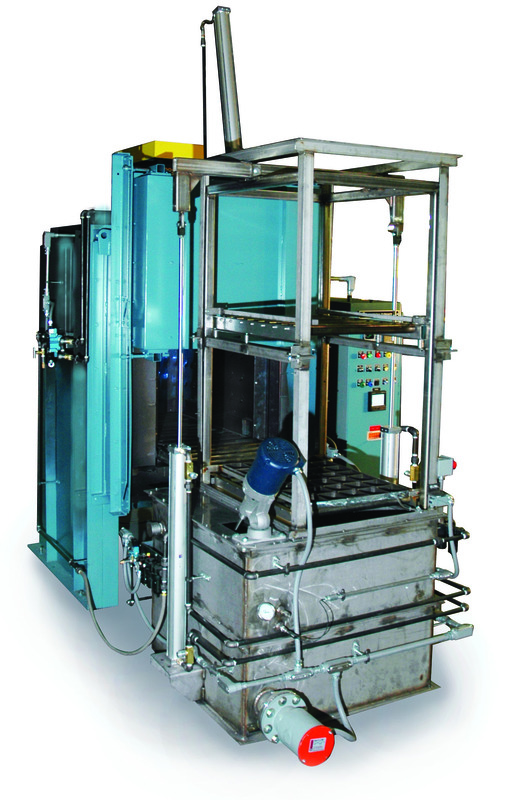 Aluminum heat treatments can be complicated processes with very little room for error or delay. That’s why we designed our ovens with ASM2705E in mind. 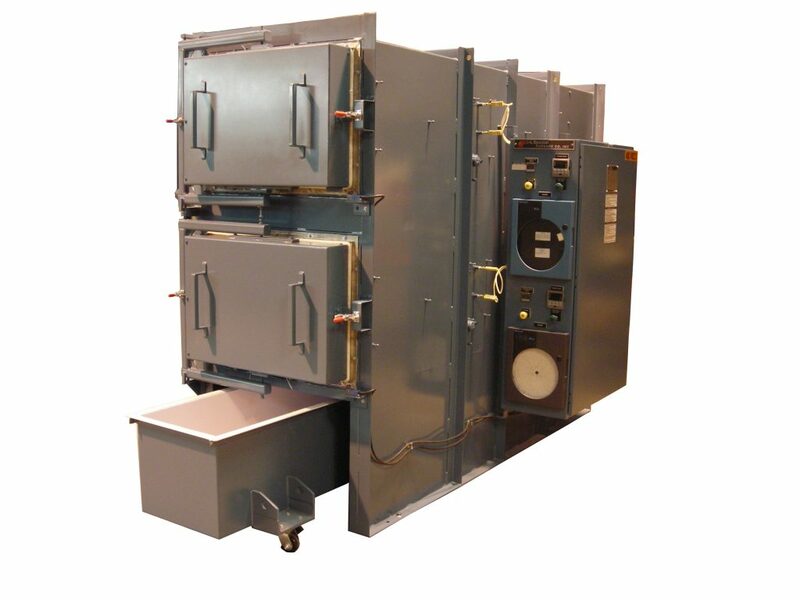 Our ovens include highly accurate controllers and the interior of all of our furnaces is designed to achieve a uniform temperature distribution. We even offer state-of-the-art quench tanks to support precision in that final but crucial step of solution heat treatment. The ideal solution for customers performing aluminum heat treatments is one of the furnaces that is designed for use with aluminum along with a pyrometry package to support the calibration, testing, and documentation that is required. L&L Special Furnace offers both. Contact us today to find out how we can help you.